Car wash can sometimes be troublesome and costly activity. 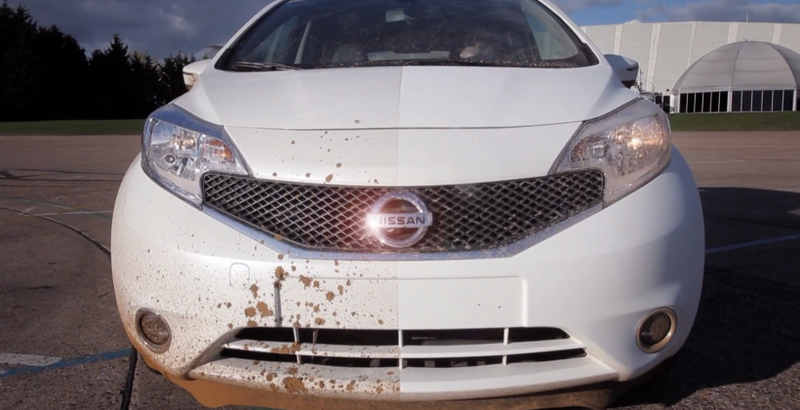 To that end, Nissan is testing try paints technology that is able to resist mud, rain, and dust everyday. That is, the owner of the vehicle does not need to wash his car. A technology of hydrophobic and oleophobic super paint specifically designed to ward off water and oil was smeared on a latest Nissan Note. The car is aimed at the European market is predicted to be the first car to be able to clean themselves. To determine the effectiveness of super-hydrophobic as aftermarket applications, engineers from Nissan Technical Centre Europe will test the Nissan Note in the next few months, in a variety of conditions. Previously, car manufacturers from Yokohama, Japan itself has been applying technology called Ultra-ever Dry, the vehicle body. They put the air as a protective layer between the paint with the surrounding environment. As a result, the technology is able to effectively stop water droplets and dust of the road to not leave stains on the surface of the car.